Essential Linen Mix Maxi Skirt is rated 4.3 out of 5 by 70. 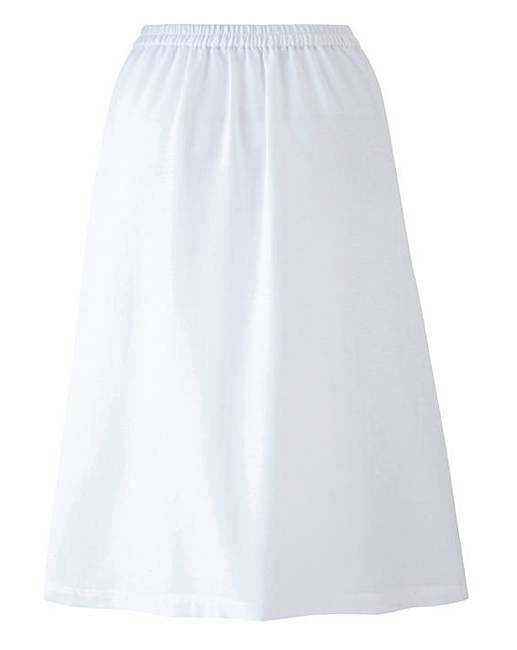 A must-have in your everyday wardrobe, this linen mix maxi skirt is perfect for summer. 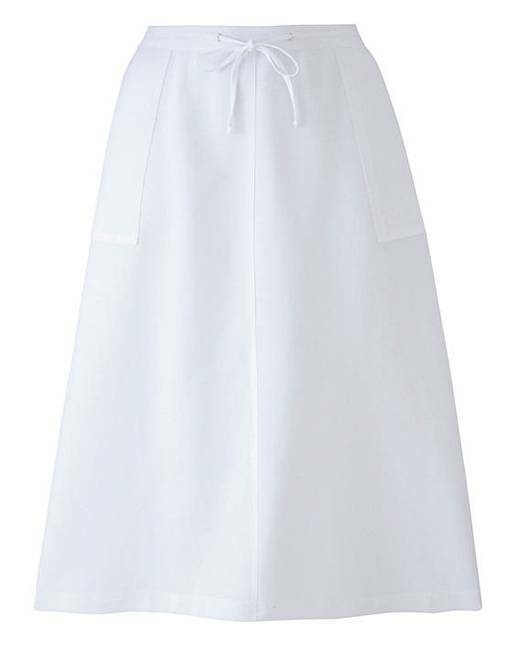 Complete with front pockets and drawcord waist, this skirt is simply styled, and boasts an effortlessly flattering finish. To complete the look, tuck a loose-fitting T-shirt into the waistline and throw a denim jacket over the top. 50% Viscose, 35% Cotton, 15% Linen. Rated 4 out of 5 by Ramona from Nice and roomy Purchased to go abroad on holiday. Roomy fit. Material very thin. Would not wear at home. Pleased with purchase however. Rated 4 out of 5 by Maggieb from Love it Am really pleased, it fits great, and looks good on. Rated 5 out of 5 by Dawn 12 from Great value for money I brought this for a Christmas present and it’s value for money. 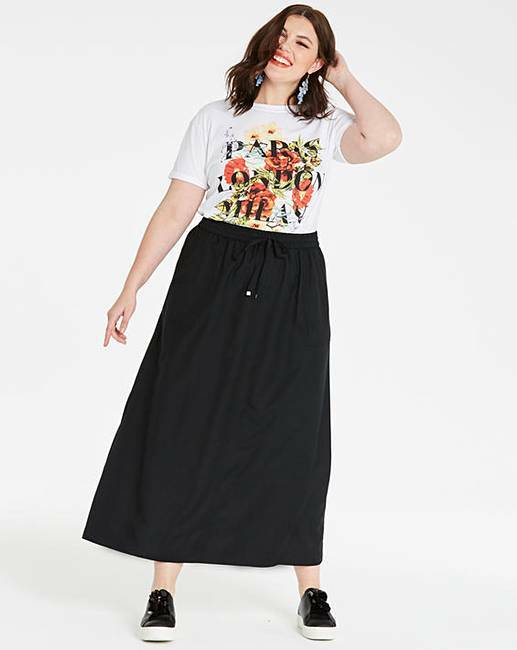 Rated 5 out of 5 by Shopperette from Well worth the price I have the shorter version of this skirt and was delighted when the maxi one was available. It is a truly marvellous skirt to wear, very comfortable and the material is so cool during the hot weather that we experienced this year. I am going to buy a couple more if they are still available. The colour choice is excellent. Rated 4 out of 5 by Steve1 from Long skirt I bought this for my wife,nice skirt just a little bit long for anyone who is 5ft 2in. Material tends to loose it's shape after a couple of hours wear. Rated 5 out of 5 by Morag from Good Decision Originally bought the white skirt, found it to be very comfortable and length was ideal. Most maxi skirts/dresses are too long and I have to have them altered This one was perfect length. Rated 4 out of 5 by Suzie from Nice material I bought this but was disappointed that it arrived in a very creased condition which did not improve when left to hang for a week.